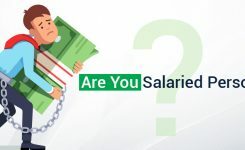 Usually salary income is received as it becomes due but many a times an employee may receive any component of his salary in the form of arrear or advance salary in the course of employment. In that case relief of tax u/s 89 is allowed under Income Tax Act, 1961 as then the assessee might have to pay higher taxes because the arrear /advance salary is taxed in the year of receipt of the same and not in the year in which it is actually due. The difference in the tax liability in due year and in the receipt year might be due to changes in the slab rates. For this reason, the provision of relief u/s 89 comes in. One important thing to note is that relief can only be claimed if tax paid is actually higher due to receipt of such arrears. If there is no extra tax liability, relief is not allowed. In case of VRS Compensation being received by the employee no relief shall be granted under Section 89 if one has claimed exemption u/s 10(10C) for Voluntary Retirement Scheme. An assessee can claim either exemption under section 10(10C) or relief u/s 89 but not both together. Step 1: Firstly, calculate the tax due in the current year by including the arrears in your total income. Step 2: Now calculate the tax due in the current year by excluding the arrears from your total income. Step 3: Compute the difference of the two figures of Step 1 & 2 and let’s call that difference as ‘X’. Step 4: Now Calculate your tax due in the year for which the arrears have been received by including the arrears in your total income. Step 5: Then Calculate your tax due in the year for which the arrears have been received by excluding the arrears from your total income. Step 6 : After that compute the difference of the two figures of Step 4 & 5 and let’s call the difference as ‘Y’. Step 7: Lastly subtract X (Step 3) from Y (Step 6) and you will get the relief amount. Suraj earned Rs. 15,00,000 p.a. in FY 2016-17 and also received an arrear of Rs. 3,00,000 p.a. for FY 2014-15. His total salary in FY 2014-15 was Rs. 6,00,000 p.a. Relief under section 89 = X-Y = 92700-61800=30900. 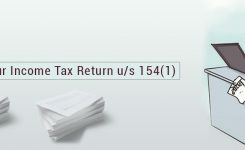 To claim relief u/s 89, you must submit Form 10E online on the Income Tax Website before filing the Return of Income. Remember, your salary slips serve as proof of receipt of arrears therefore should be kept safely. 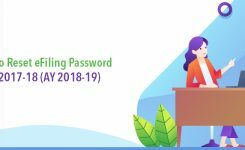 Login to https://incometaxindiaefiling.gov.in/ with your User ID, password and date of birth. 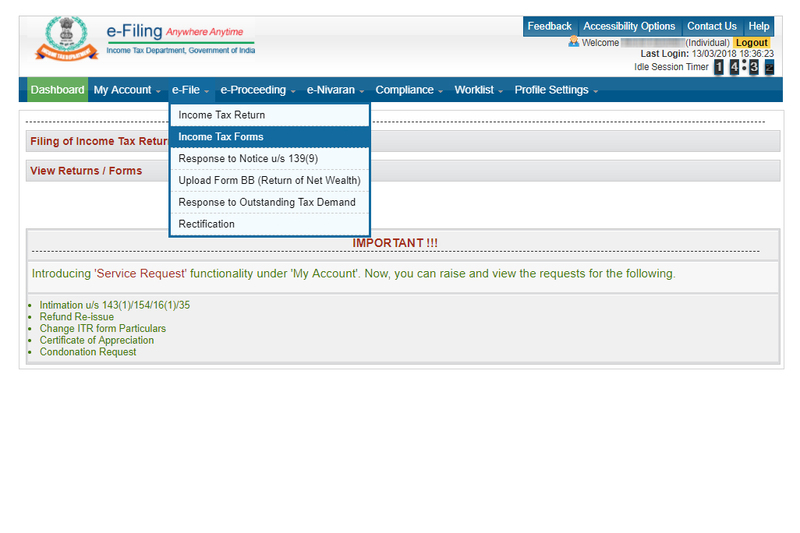 Now click on tab named ‘e-File’ and select ’Income Tax Forms’. The screen shall appear as below. From the 1st drop down select Form 10E. 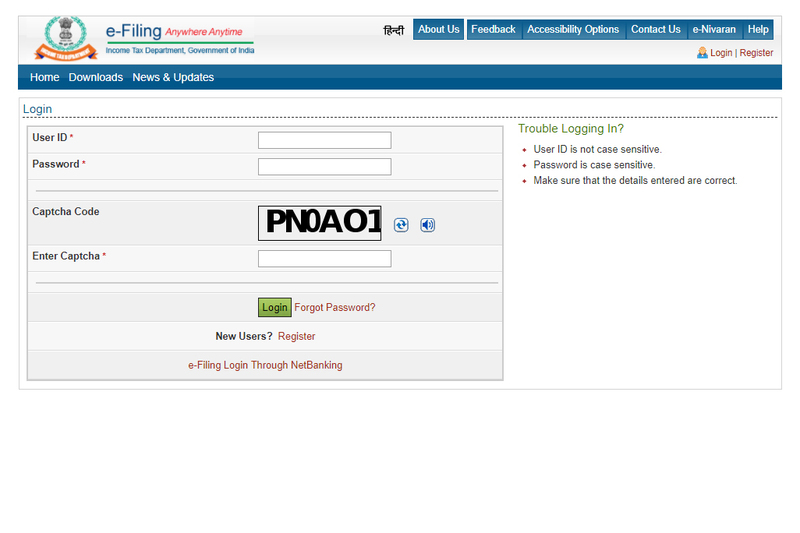 Now when you will click on continue, the Form 10 E screen shall appear as below. 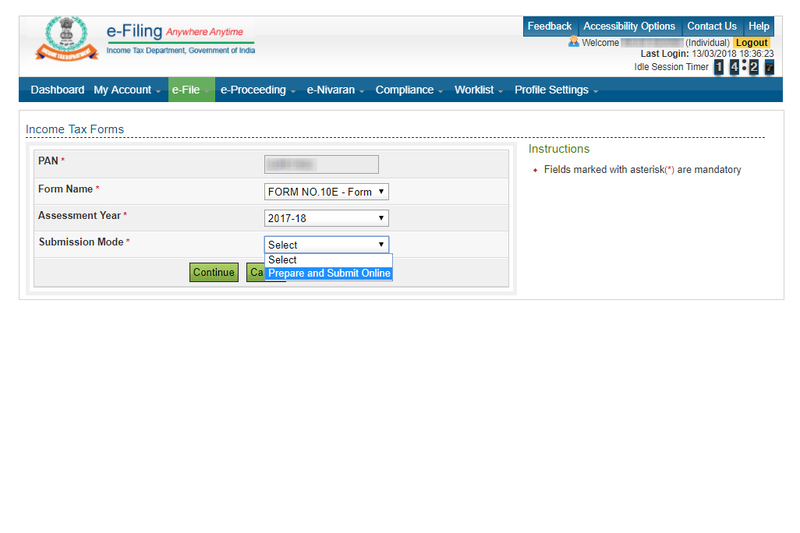 You may read the instructions on how to file Form 10E given in the 1st blue tab and then enter the relevant information by clicking on other blue tabs. Don’t forget on click on “Save Draft” while filling the form and lastly click on “Preview & submit “and you are done with it. When in a financial year an employee receives salary in arrears or advance then in order to save you from any additional burden of tax due to delay in receiving income as per section 89(1) of the Income Tax Act, 1961 relief for income tax has been provided. However, for claiming this relief he/she must have to submit the form 10E with income tax department. Uncommuted pension or any periodical payment of pension is fully taxable as salary. In the above case Rs 9,000 received by you is fully taxable. Rs 10,000 starting the age of 70 years are fully taxable as well. In case of VRS Compensation being received by the employee, no relief shall be granted under Section 89 if he has claimed exemption u/s 10(10C) for Voluntary Retirement Scheme. An assessee can claim either exemption under section 10(10C) or relief u/s 89 or not both together. Further, you can connect with us at [email protected] or at +09660996655 for customized opinion and safe tax planning. If I am claiming relief under I.T Section 89(1), arrears pertaining to previous 5 years being paid in current year, is it necessary that I should have filed I.T returns for all those 5 Years? Thanks for your query, it is worth appreciating. As per Section 89(1), tax relief is provided by recalculating tax for previous years i.e. 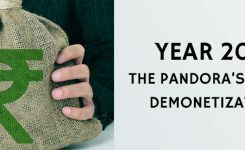 the year in which arrears are received and the years to which the arrears pertain then your taxes are adjusted assuming that arrears were received in the year in which they were due. Normally, it is always necessary to file the return if the income exceeds the basic exemption limit. Relief provisions are governed by the section 89(1) along with the Rule 21A and 21AA of the Income Tax Rules. In your case, we need some more data like Form 16 of all the years, amount of arrear etc. Therefore, we request to share your contact details at [email protected] so that our expert CA can check and discuss the issue in detail and can provide the opinion as needed. It is not necessary that the assessee claiming relief u/s 89(1) must have filed his return of income for those years for which he has received arrears of salary for whatever reason say pay revision etc. 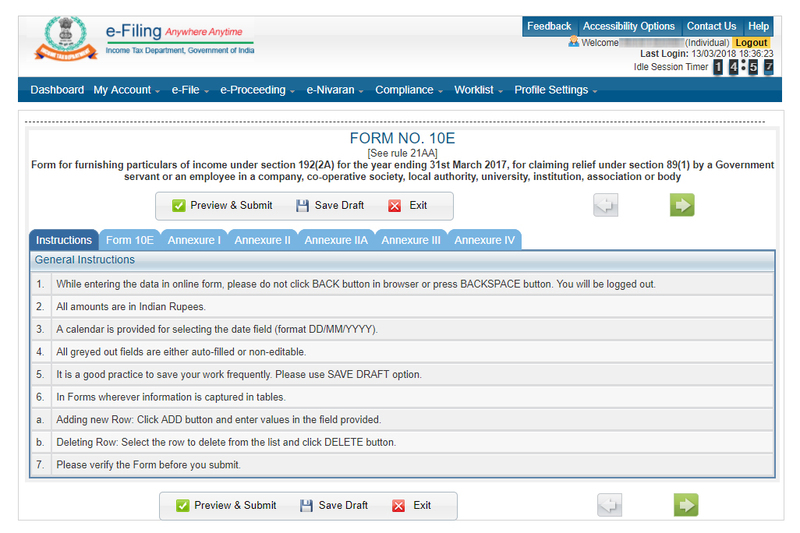 The assessee needs to file Form 10E online giving full details of previous salary and arrears received and may claim tax relief u/s 89(1). Thanks for writing to us. We appreciate your query. 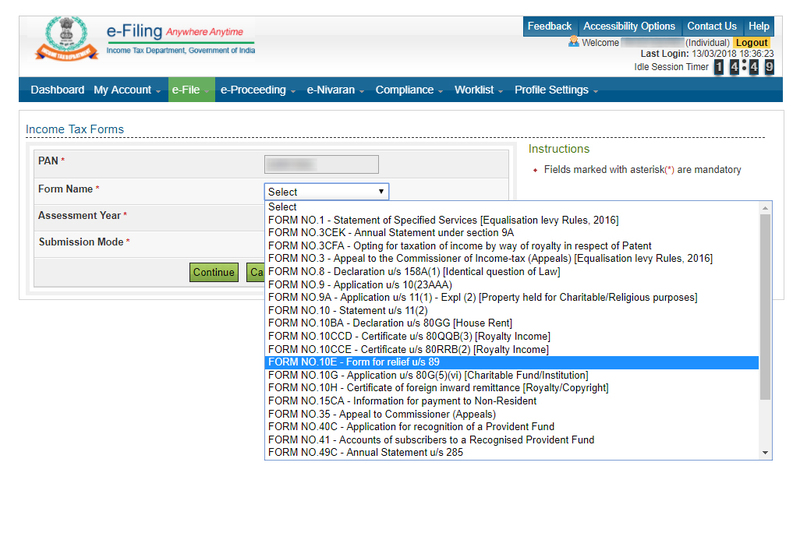 Yes, definitely the assessee needs to file Form 10E online to claim tax relief u/s 89(1).However, it must be noted that both activities must be performed to claim the relief u/s 89(1) i.e. filing of Form 10E as well as the filing of return along with relief u/s 89(1) in the year in which assessee receives the arrear amount. For customized opinion and safe tax planning, you can connect with us at [email protected] or at +09660996655. 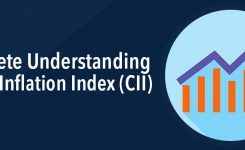 As per section 234A, 234B and 234C, while calculating the interest liability under these sections various deductions are made for the purpose of calculation of assessed tax (the amount on which interest under these sections is calculated) like Tax deducted at source/Tax collected at source or Advance Tax paid or Relief under section 90, 90A, 91 or the MAT credit. However, the relief under sec 89(1) is not subtracted in the calculation of assessed tax. 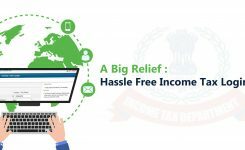 Therefore, effectively the relief of tax is being provided as per the provision u/s 89(1) but not of the interest amount computed u/s 234A,234B and 234C. Hence, in your case, the liability towards interest u/s 234A, 234B and 234C would be calculated on the unpaid amount of tax before allowing the relief of sec 89(1) for AY 2017-18. For customized opinion and safe tax planning you can connect with us at [email protected] or at +09660996655. The arrears of allowances, like PRIS in DAE, can be claimed for relief under section 89? Section 89 of Income Tax Act provides a rebate to salaried individuals for receiving any portion of salary in arrears or in advance or profit in lieu of salary. Therefore, if you receive any allowance of previous years in the form of arrear and which is forming a part of your taxable salary then relief under section 89 can be claimed. However, if the allowance is received in the same year when it becomes due then no relief u/s 89 shall be granted. For customized opinion and safe tax planning, you can connect with us at [email protected] or at 9660996655. As per Excel utility sheet the benefit under section 89 is considered for the purpose of Tax as well as while calculating interest under 234b & 234c and accordingly the shortfall was deposited as self assessment tax while filing the return for the AY 2017-18. But CPC at banglore has raised the demand without considering the relief for the purpose of interest under 234B and 234C . What is correct ?. The utility or the demand u/s 234B and 234C without considering relief u/s 89. Pl. Advise. 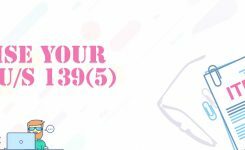 As per section 234A, 234B and 234C, while calculating the interest liability under these sections, various tax amounts substracted like Tax deducted at source/Tax collected at source or Advance Tax paid or Relief under section 90, 90A, 91 or the MAT credit for the purpose of calculation of assessed tax (the amount on which interest under these sections is calculated). However, the relief under sec 89(1) is not subtracted in the calculation of assessed tax. Therefore, effectively the relief of tax is being provided as per the provision u/s 89(1) but not of the interest amount computed u/s 234A,234B, and 234C. However, please note that this answer is based on the one possible view on the said matter. For customized opinion and safe tax planning, we suggest you to connect with us at [email protected] or at +09660996655. According to the Income Tax Act 1961, since arrear received is part of the gross total income then you are eligible to get the deduction of the GPF u/s 80C. The deduction shall be claimed in the year in which the arrears have been received and offered for tax. Further, for customised opinion and safe tax planning, you can connect with us at [email protected] or at +09660996655. 234B &C was computed on tax after giving 89 relief for AY16-17 whereas for AY17-18, 234B&C has been computed before giving 89 relief. May I know on which basis income tax department has changed this? As per section 234A, 234B and 234C, while calculating the interest liability under these sections, various tax amounts substracted like Tax deducted at source/Tax collected at source or Advance Tax paid or Relief under section 90, 90A, 91 or the MAT credit for the purpose of calculation of assessed tax (the amount on which interest under these sections is calculated). However, the relief under sec 89(1) is not subtracted in the calculation of assessed tax. Therefore, effectively the relief of tax is being provided as per the provision u/s 89(1) but not of the interest amount computed u/s 234A,234B, and 234C. Thus, this is done on the basis of section 89(1). However, please note that this answer is based on the one possible view on the said matter. Clarification is expected from the CBDT in this regard. For customized opinion and safe tax planning, we suggest you to connect with us at [email protected] or at +09660996655. Hence, the liability towards interest u/s 234A, 234B and 234C would be calculated on the unpaid amount of tax before allowing the relief of sec 89(1). Please note that this is based on the one possible view on the said matter. Further, clarification is expected from the CBDT in this regard. For customized opinion and safe tax planning, you can connect with us at [email protected] or at +09660996655.